You can have the most highly rated system around, but unless it’s sized correctly for your home—and installed with the right ducting system—it may not be running as efficiently as it could. That can wind up raising your cooling bills causing other problems down the line. Today we talked to Roland Bazan, the owner of Roland Bazan Heating & Air Conditioning in San Marcos, Texas, about why unit sizing is so important—and how you can tell that a contractor knows they’re doing. Let’s start off with energy efficiency. With the spring coming up, cooling bills are definitely about to rise. What can homeowners do to keep theirs reasonable? As a contractor with a master’s license, I always recommend that people go ahead and purchase a maintenance program. That’s preventative maintenance, when a technician will check out the system, capacitors, motors, and the compressor. They’ll also inspect the wiring to make sure everything’s tight to prevent any catastrophic failure, such as burnouts and things like that. Maintenance programs are essential in the operation of a system, but also because you pay a lot of money for equipment, so you want to make sure that everything is running per the manufacturer’s recommendations—as well as to conserve energy. Anytime you have a large electrical bill, I would say 99 percent of the time, your air conditioning isn’t running properly. 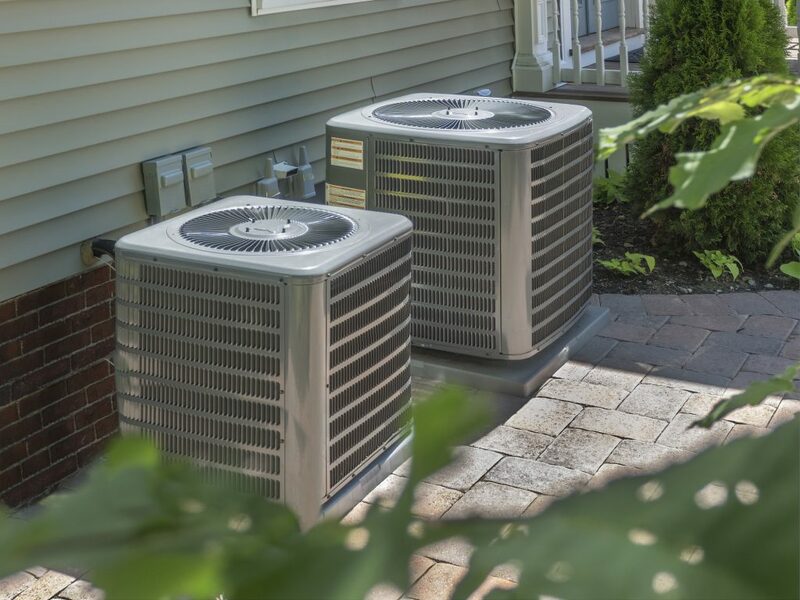 Maintenance programs are a smart idea because they help prepare your unit for seasonal changes, and they make sure that your system is running in tip-top shape. What if a homeowner needs to replace their unit entirely? Are there efficiency recommendations you can make in that situation? Yes, if you’re going to replace your system, then you need to make sure that you’re installing the correct equipment for that particular home. Every house is different. They may have the same square footage, and they may look the same, but different types of insulation, windows, roofing, etc can all make a difference. There are so many issues that come up when you’re sizing a piece of equipment. A lot of contractors will incorrectly size a home’s unit. For example, they’ll go to a home with a three-ton unit, and they’ll put in a three-ton unit. But they don’t take into consideration that [the previous installer] may or may not have performed a heat load on that home. So that system could be oversized or even undersized. The only way that you can ensure that it’s the proper piece of equipment is if you perform a heat load with the equipment selection. And that ensures that you get the proper piece of equipment and the right ducting for that equipment. Is that one way to tell if a contractor knows their stuff? If they perform a heat load test? Yes, absolutely. You can’t know the proper size of a piece of equipment unless they perform a heat load. Just because there’s an existing system there, that doesn’t mean anything. And an oversized system is just as bad as an undersized system. With an oversized system, you’re going to have high moisture levels with a cold house, and it can start producing mold inside the home. With an undersized unit, it can run and run and never actually cool the home. That’s why it’s imperative that a system is sized accordingly. What other things should homeowners look for in a contractor? How can they know the person they’re working with can be trusted? Since only a few select people can be part of the Better Business Bureau, you can always trust a contractor who’s a member of the BBB. This also means they have a clean and proven record of treating customers responsibly, so you can trust that you won’t get ripped off. It’s a similar experience to choosing and trusting an auto mechanic. If you’re not familiar with the ins and outs of the trade, it’s very easy for someone to take advantage of you. You need to make sure that they’re a reputable company, that they’re part of a group like Better Business Bureau, who monitors the work that they do and makes sure that they’re on the straight and narrow. It takes plenty of requirements to become a licensed contractor in the first place, so you want to make sure to hire someone who’s licensed and insured so that you’re protected if anything happens. Let’s talk about repairs for a moment. What would you say is the most frequent type of repair that you see? Capacitors, dirty coils, and burnt motors are all common, but there are so many different kinds of repairs that it’s hard to pinpoint one that happens the most more than others. Still, most of the common issues have something in common—duct design and, specifically, the wrong ducting. This happens when the original installer put in a new system but didn’t size it accordingly, so the duct system is too small. Now you’ll get a reading that won’t allow you to adjust the refrigerant level correctly because of bad air circulation. And how long do repairs usually take you? It depends on the type of repair. If we’re doing a motor change out or replacing the condensor, evaporator, or fan motor, it’ll take about two hours. Everything else takes between an hour to an hour and a half, depending on how badly the system was taken care of. Is there anything homeowners should do to prepare for an HVAC contractor before they arrive? If the system is frozen, you have to make sure that it’s turned off. I will tell the customer to check to see if it’s frozen. If it’s frozen, I say, “okay, turn it off, turn your fan on, and leave the fan running until we get there.” That way, by the time we get there, it’s thawed out, because it usually takes about an hour to an hour and a half for a system to defrost when it’s frozen. Don’t run a unit if it’s not working right. Just turn it off and wait until someone gets there. You can cause more damage by letting it run.